Did Turkey buy votes for the 2012 Olympiad? 11/25/2010 – The New York Times has come out with a piece implying that the Turkish Chess Federation paid voters to help win the bid to host the 2012 Chess Olympiad. The TCF President Ali Nihat Yazici says not a penny was paid and that this "scandal", which comes just 72 hours before an important TCF Financial Assembly, is an attempt by his rivals to unseat him by undemocratic means. A recent audit of the Turkish Chess Federation reported that the federation paid voters to help win an election for the right to host the Chess Olympiad in 2012. Rumors of corruption have long plagued the chess world, where it is a commonly held assumption that elections of officials and decisions about where to locate tournaments are determined by bribery. But the disclosure by the Turkish federation may be the first time that anyone has admitted it so matter-of-factly. The Olympiad is a national team competition held every two years, and one of the world’s premier chess events. Turkey won the right to host the event in Istanbul in 2012 after a vote among delegates of the World Chess Federation at the Olympiad in Dresden, Germany, in 2008. Turkey beat out Montenegro, the other finalist, by a vote of 95 to 40... It appears that its success was ensured by paying delegates to vote for it, and the price was $120,000, or 178,000 Turkish lira. It was detected in official documents, records and listings that in order to host the 2012 World Chess Olympics in Istanbul, 177,724.32 Turkish lira was allocated for the rent of the stand, souvenirs, lobbying activities as well as accommodation, transportation and food expenses of some FIDE delegates to vote for our country at the FIDE general council meeting held in Dresden, Germany, in 2008, as approved at the board meeting, and as adequate additional funds were transferred into the federation’s budget by the Turkish Republic prime minister’s Office of Youth and Sports general directorate in 2008, which were spent in accordance with the status of the federation and other general regulations. It could not be determined whether paying delegates to vote for Turkey violates Turkish law, but in an e-mail, Kirsan Ilyumzhinov, the president of the World Chess Federation, which is also known by the acronym FIDE (for Fédération Internationale des Échecs), said, “Paying for votes is not allowed by FIDE and by its members.” He said that he was unaware that the Turkish federation was claiming that it had done so and FIDE will look into it. Calls to the cellphone of the president of the Turkish federation, Ali Nihat Yazici, as well as an e-mail to him to ask about the disclosure in the audit report were unanswered. Four years ago, Mr. Yazici, was part of the Right Move campaign headed by Bessel Kok to unseat Mr. Ilyumzhinov as president of FIDE. Mr. Kok and Right Move lost. Mr. Ilyumzhinov was recently re-elected at the Chess Olympiad in Khanty-Mansiysk, Russia. After his defeat, Mr. Yazici wrote a letter to the chess community alleging Mr. Ilyumzhinov had bribed the voters, without providing evidence to support his charges. In an e-mail, Mr. Ilyumzhinov wrote, “I can’t comment on vague and unfounded allegations. All questions should be directed to Mr. Yazici.” Part of Mr. Yazici’s letter, again translated into English for The Times [and is quoted in the NYT article]. 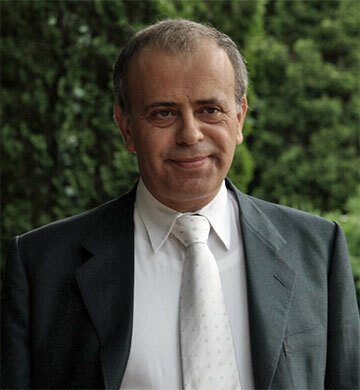 Since Yazici wrote the letter, he has become a staunch supporter of Ilyumzhinov and is now one of FIDE’s vice presidents. And the chess player he referred to in his letter, Mikhail Gurevich, a former Soviet player who lived in Belgium from 1991 to 2005, now plays for Turkey. I have read the NYT report saying that we got 2012 World Chess Olympiad by paying bribes to delegates, according to our own auditing reports. This claim is factually untrue. The Turkish Chess Federation spent around 178,000 Turkish Lira for the 2012 Olympiad Campaign in 2008 – which is not a very large sum when you are bidding for an Olympiad. The money was spent mainly for for our delegation's travel and stay in Dresden, setting up and maintaining a stand in Dresden, the "Turkish Night" party, as well as gifts and souvenirs promoting the city of Istanbul. The Campaign was very successful: I would like to remind readers that the Turkish Federation beat the rival bid from Montenegro by 45 votes: 90 for Istanbul versus 45 for Budva. All of the expenses incurred by the TCF in the Olympiad Campaign are documented by invoices from third parties, such as airline companies, hotels, catering companies and Dresden 2008 (for the stand). None of the invoices involve delegates to the FIDE Congress, no money was given to a FIDE delegate, and none of their expenses were reimbursed. The reality behind this news that is currently being circulated is that there is a very destructive opposition to my Presidency of the TCF, which I have faced in the last six years. They have failed to win democratic elections and are now trying to take down my management by other means. They want to create an international scandal before the Financial General Assembly of Turkish Chess Federation, which is scheduled for next Saturday (November 27th). The timing of the news push by our opposition is very interesting: just 72 hours before the Financial General Assembly and in a US newspaper. Clearly the aim is to have the report of our auditing committee rejected and to force extraordinary elections to the TCF in three months. I would like to stress: the Turkish Chess Federation has never paid a penny to any delegates to get their votes. If that were not the case, today I would be the President of European Chess Union. We are sure that more than 150 delegates of Turkish Chess Federation General Assembly will express their confidence in our management and support the work we have done over the last ten years to turn chess from a minor hobby into a major sporting activity in Turkey. It is worth mentioning that the Financial General Assembly will be broadcast live on Turkish Chess TV on 27th Saturday 2010 at 14:00h CET. Everyone can watch the proceedings.